Oranges or lemons or both? Create a new plantation or extend an existing one? Collect landscape tiles or rather build onto a finca in order to cultivate the most points during the next evaluation? Citrus provides players with new challenges, and little is left to chance. The moves are simple, but the decisions are tricky. Players build citrus plantations for points, yet in order to build, it's essential to harvest your plantations from time to time as this is the only way to bring new income into your account – but when is the timing right? And most importantly, which plantation should you harvest, thus taking it out of the race for the important points during the finca scoring? 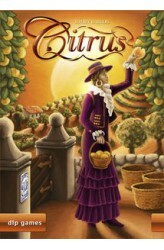 Citrus is a tile-laying game for 2-5 players ages 10 and up with a playing time.. The Canadian province of Manitoba is wild, fascinating, and almost without any limits: countless lakes, majestic mountains, a vast tundra in the north and endless prairies in the south. Manitoba — a country whose name derives directly from Manitou, the big spirit of creation of the American natives. 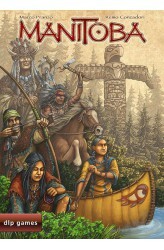 In Manitoba, players become clan leaders of the Cree tribe and try to become the chieftain of them all, but this is not easy as they have to cope with the capriciousness of nature and must provide material as well as spiritual richness for their clans. In the course of the seasons, everyone has to consider several things: When and where do I plan to get active in the hunting grounds of Manitoba? Or would it be better now to emphasize spiritual development and walk on mystical pa..